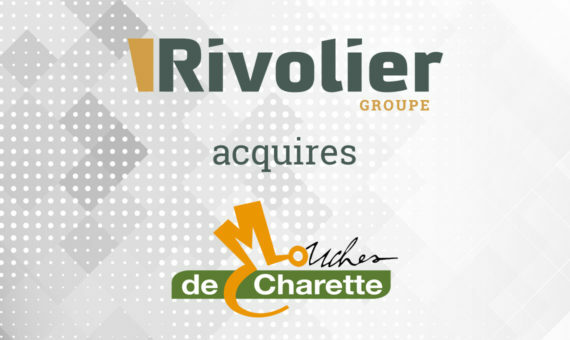 Rivolier has just announced the acquisition of Mouches de Charette. This acquisition completes the product offer of it existing subsidiary, SERT company from Bordeaux managed by Jerôme Mio and Eric Pujos. The acquisition of Mouches de Charette represents a serious opportunity for the fishing department of the Rivolier group adding a new range of products and consolidating its position as a European leader of the fishing accessories B2B distribution sector. The Mouches de Charette team leaded by Andrew Ayer and Emmanuel Vialle has a strong background and many of its members are experienced fly fishermen, including a recent world champion with the French national team. “Our Fishing division with SERT has a strong brand oriented strategy and strong ambitions towards export markets and international growth. The acquisition of Mouches de Charette is an extension of these targets. Mouches de Charette distributing well-known brands such as JMC, SPARROW, CORTLAND, TIEMCO… has good international potential, as fly fishing is a global market. We are very happy to welcome Andrew and his team in the group” says Rivolier’s president, Arnaud Van Robais. The diversification of the Rivolier’s Outdoors department has started in 2011 by the acquisition of the SERT fishing company based near Bordeaux followed by Garbolino in 2012. A passionate and dedicated team works every day to offer evermore specialized products for all European fishermen.